Horace Jackson was an African-American cinematic catalyst that very few people currently remember. In light of the tremendous odds he consistently challenged to produce his four projects, and the concepts he espoused that are now commonplace in modern film, his history commands greater attention. He occupied a space that straddled the line of sacred and profane, arthouse and grindhouse, and made a path that may have taken decades to find and cross, but is now traveled actively by new generations. Jackson’s father was a Philadelphia coal yard worker, and there had been 20 other children born before him, yet his parents were able to send all of them to college. Jackson studied theology at Temple University, but always harbored artistic dreams at the same time. Speaking to reporter Bob Thomas in 1971, he said, “It was a tough life, but we lived off music. Music was what kept me alive. When I heard Judy Garland singing ‘Over the Rainbow.’ that really got to me, man. I knew there had to be someplace over the rainbow for me. I said to myself. ‘There’s got to be a better place for me to live than Philadelphia’.” With a satchel and less than $20, he moved to Los Angeles. With the dissolution in the 1950’s of the race-movie business and the network of blacks-only theatres that had supported it, a producer intent on making a black-cast film could succeed only with the aid of considerable drive and ambition. The many impediments to this goal are evident in the micro-budgeted independent feature Living Between Two Worlds (1963), the story of a would-be jazz musician who is pressured into the ministry by his mother. Living was financed independently by producer-screenwriter Horace Jackson after attempts to solicit backing from black Los Angeles businessmen failed to raise even $500. Jackson’s integrated crew included talents like Ivan Dixon (star of Nothing But a Man) as assistant director and the Hungarian emigres Vilmos Zsigmond and Laszlo Kovacs as cinematographers; still, few of those working on the film had much experience, including first-time director Bobby Johnson. 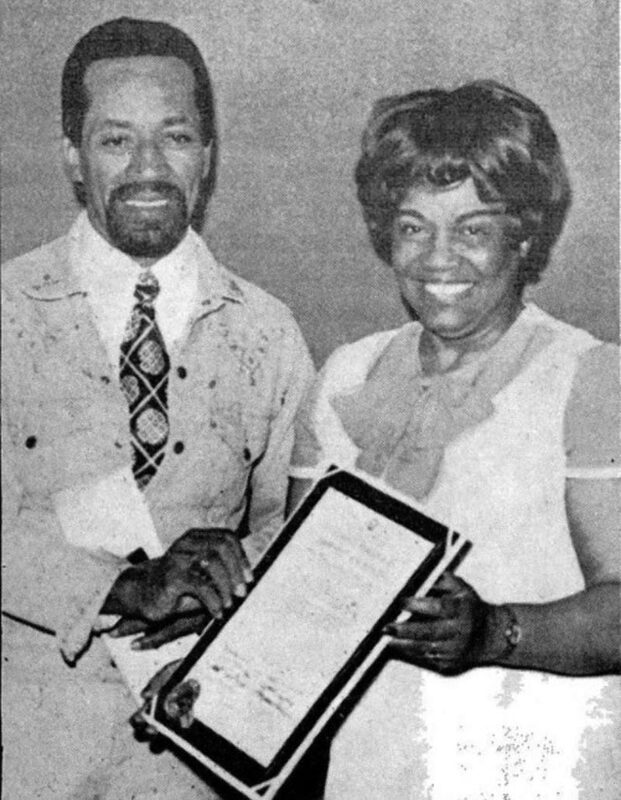 The man responsible for facilitating Jackson’s DGA screening was Wendell Franklin, the first African-American member of the guild. Franklin had been a parking attendant at NBC who advanced to becoming a stage manager for their live television shows including “The Jerry Lewis Show” and “Queen for a Day.” He became an assistant director on The Greatest Story Ever Told, Funny Girl, and Medium Cool, as well as several Universal TV programs, including “McMillan & Wife.” Franklin became a valuable ally to Jackson, who, having made no personal profit from the small release of Living, chose to resume studies at Los Angeles City College while working on a follow-up script. The production met with trouble when, with 75% of the film shot, the money ran out and shooting had to halt while more funds were sought. In that same interview, Jackson noted that studios liked the footage, but none would purchase the film until it was completed. In another interview with Jet, he fumed that no banks would provide a loan, stating, “Investors don’t take Blacks seriously when they apply for financing for a business venture…[they say], ‘Why don’t you see Sammy Davis Jr. or Sidney Poitier?’” A strategic interview with Variety drew the attention of Indiana-based fledgling distributor William Thompson, who, after reading the article, agreed to provide the finishing funds. Jackson also secured “Little Green Apples” singer O.C. Smith to record the theme, and respected choir director Thurston G. Frazier to serve as a co-producer. He also gave D.P. Mike Rhodes and music editor Robert H. Raff shared screenwriting credits with him. The film was completed, and released on July 2, four months after the start of filming. [It] seems that the directorial film debut of Wendell Franklin is the most auspicious in terms of artistic achievement. His film, The Bus Is Coming, was independently produced and financed by the Black community of Compton, California, and private contributions of several businessmen who believed in the project. The filming took place in Compton, with a cast of unknown professional black actors and actresses, and it represents a lifelong ambition of Mr. Franklin to create his own film, after working for years as an assistant in television and film production in Hollywood. The Bus Is Coming is set in the ghetto of an American city on the eve of an almost-imminent race war. A young Black veteran comes home to find that his brother, a civil rights leader, has been mysteriously murdered. He attempts to find out the truth in his own way, but finds himself confronted by the revolutionary, more militant solutions to racial problems, represented by a group of young men called the Black Fist. The complicated approaches to the racial patterns and social injustices in the town are skillfully dramatized by Franklin, presenting both black and white viewpoints. The aim of the film is to present, without compromise, the effects of race hatred upon a specific group of townspeople in contemporary America. 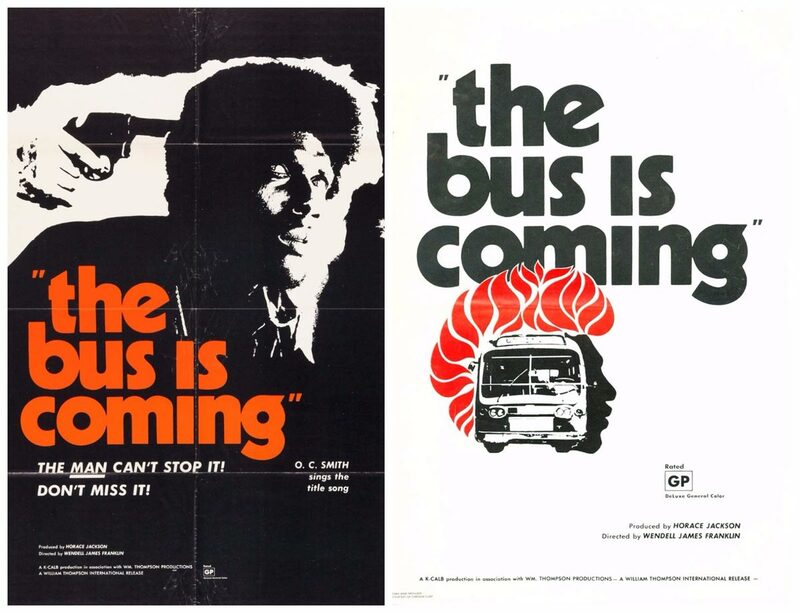 The pivotal position of the local police is handled without stereotype, and although The Bus Is Coming is a tragedy, it sheds much light upon the world of the darker brother; it represents another artistic step in the Black film director’s move toward a place in the world of international cinema. 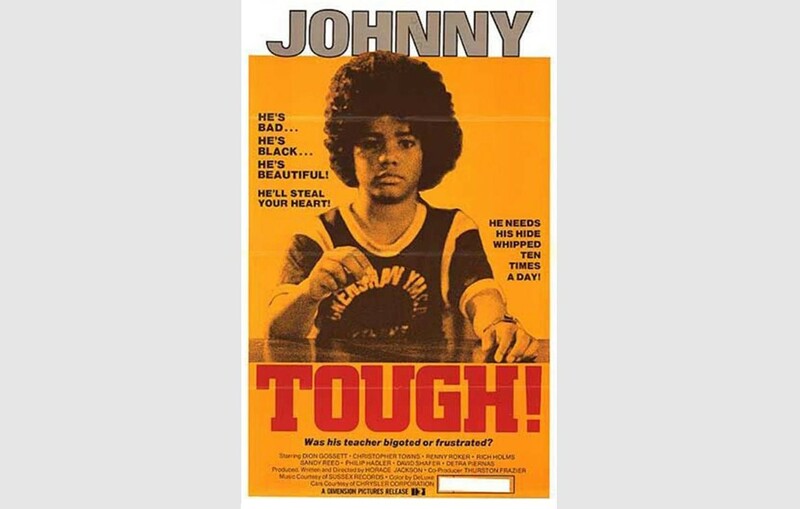 Jackson would take directing responsibilities himself for his next film, Tough, which took the writer back to the more intimate confines of Living while still offering the sociopolitical commentary that made Bus a hit. His screenplay, bearing shared credit with Fred Williamson associate Lynda Holmquist and additions by Michele Searcy Jackson, bore many similarities to Francois Truffaut’s troubled youth drama The 400 Blows, though no one on the production ever acknowledged any links to or influence from that earlier film. Jackson chose Dion Gossett, a middle-schooler with no previous experience, to play the lead role, with Bus alumna Sandra Reed playing his mother, and Renny Roker, already a veteran actor with credits including Otto Preminger’s Skidoo and Hugh A. Robertson’s Melinda, as his stepfather. Roker, who also provided co-producer services, was instrumental in helping attract more financing when the original budget ran out. In an unusual addition, Ed Wood associate Loretta King Hadler made a brief appearance. Music connections also proved very helpful to Jackson. The well-received score was created Motown sideman and Sixto “Sugarman” Rodriguez producer Dennis Coffey, and provided by Sussex Records proprietor Clarence Avant, who would become a producer on Jackson’s next film. Gospel choirmaster Frazier again received assistant producer credit. 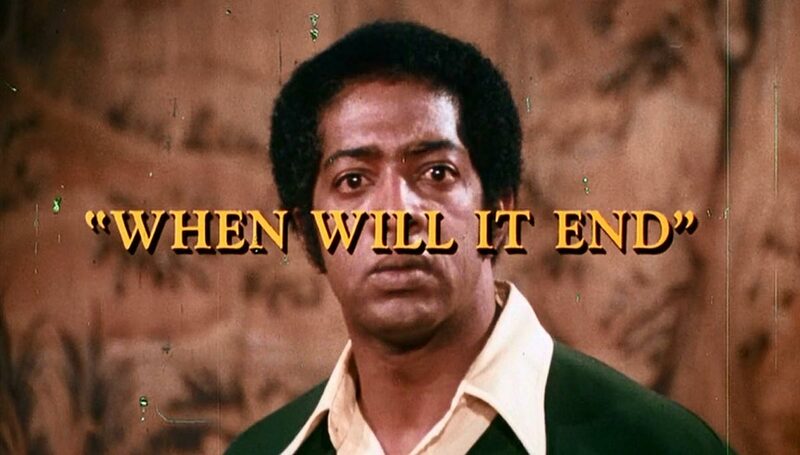 Tragically, Frazier would be murdered soon after completion of the film, as part of a shocking wave of killings of Los Angeles black clergy between March 1974 and September 1975 believed to be homophobically motivated; his murder remains unsolved. Woolner agreed to partner again with Jackson on his subsequent film, Deliver Us from Evil, with Clarence Avant, Wendell Franklin, and the film’s editor Jeff Bushelman, who previously supervised post-production on Tough, receiving various producer credits as well. Renny Roker returned to play the lead. Marie O’Henry, whose mother Ophelia DeVore Mitchell was America’s first African-American model and founder of the Grace Del Marco Agency, was cast opposite him. Academy Award nominee Juanita Moore had a brief role, and supporting players from Tough Rich Holmes and Loretta Hadler returned in cameo appearances. Jackson gave himself an uncredited supporting part, playing an antagonistic detective. 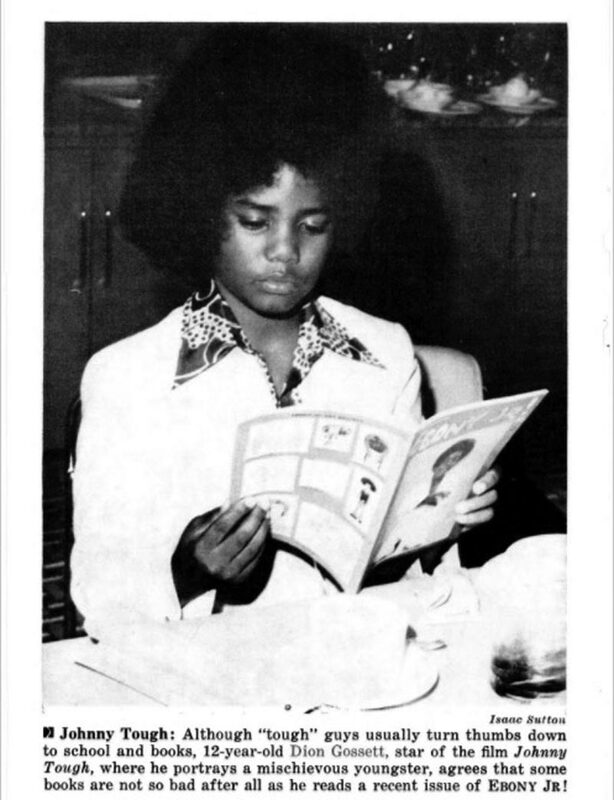 Sussex again provided music, with score by Detroit-based soul group The Enchantment, produced by Michael Stokes; a soundtrack album was advertised but never released. By 1975, Jackson had become a respected figure in black entertainment, and was frequently sought-after for entertainment news. In July 1975, he opined in Jet, “The argument that [genre films] have opened up movies to Blacks is bull. The means do not justify the end. The fact that a few Blacks have been employed isn’t enough. They started making them because their box office was falling out. The democratic system is supposed to be the greatest good for the greatest number. When kids try to live this kind of thing, they find that the bullets aren’t blanks and the blood isn’t catsup. This ‘entertainment’ can end up in the morgue.” In a December 1975 Los Angeles Times Sunday Calendar article on the rise of “crossover” movies – projects with black stars marketed to broad audiences – a statistic was cited that of 24 black-led movies in that year, only a third were either written, produced, or directed by blacks, and Jackson was one of only four black men (the others Ike Jones, Rudy Ray Moore and Fred Williamson) with producing credit. “It’s extremely difficult to get money in Hollywood. Black movies are no longer in vogue. I’ve made some inroads. Hollywood is aware of me because of the kinds of movies I’ve made. But I can make a picture, independently, if I so choose,” he told the Times. Horace Jackson’s Deliver Us From Evil is an angry, heavy-handed and episodic black film about prejudice, corruption, a man’s search for self-acceptance and a crusading woman’s effort to stand up to bullies. The film has vigor and commitment, but its message undermines its dramatic effectiveness. A grammar school’s playground director (Marie O’Henry) is entrusted with the care of “Little Joe” (Danny Martin), a boy who is paralyzed from the waist down and confined to a wheelchair. On the way to pick up Danny, who accompanies her to the playground every day, Miss O’Henry’s car breaks down and she is forced to hitch a ride with a hostile and alienated man recently released from jail (Renny Roker), who becomes concerned for her safety and that of the child. 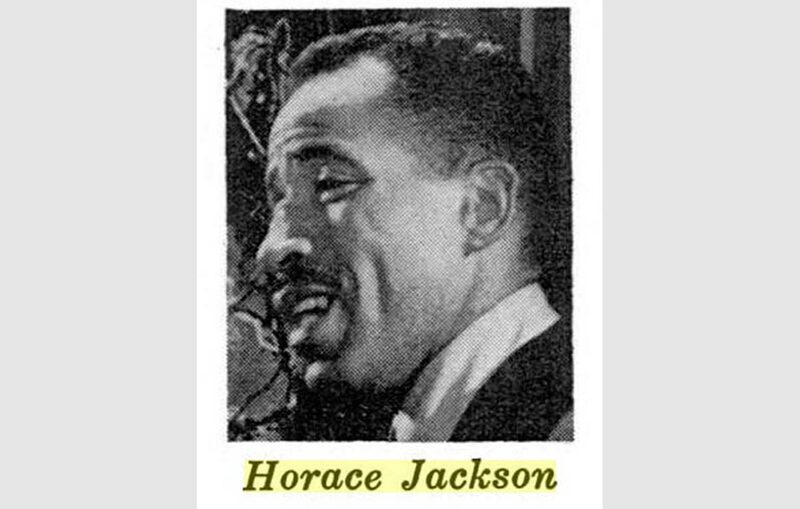 Horace Jackson produced, directed and wrote Deliver Us From Evil with an appropriate tone of bitterness. The [dialogue] sounds like a sermon. The film is also excessively violent (particularly in view of its PG rating). Today, message-driven films produced, written, and directed by faith-based artists like Tyler Perry, T.D. Jakes, and David E. Talbert, are a significant percentage of all entertainment released any given year, providing steady and welcome work for African-American talent onscreen and below-the-line. And while his four-film resume today is respected for its ambition more than it is praised for its execution, Horace Jackson’s impulse and influence can be felt today, and deserves to be upheld. An October 27, 2015 Los Angeles Times article from their Homicide desk detailed the shooting and death of Dion Lamont Ramirez by an L.A. County Sheriff’s deputy in Vermont Vista on October 20. Police claimed they had pursued a reckless driver to a cul-de-sac, and shot the driver, Ramirez, as he attempted to drive his vehicle towards a standing officer. Ramirez’s passenger, Sherri Lane, contradicted their testimony, claiming deputies followed them without cause and cornered them in the dead end, and after she exited the vehicle with her hands up while he stayed in the car with both hands on the wheel, deputies approached the car and shot Ramirez dead. It was two years later, on July 4, 2017, that a reader named “Brooke” posted a comment to the online article identifying Ramirez as former child actor Dion Gossett.